CPT Goodnough split his childhood between Long Island, New York, and the Shenandoah Valley. 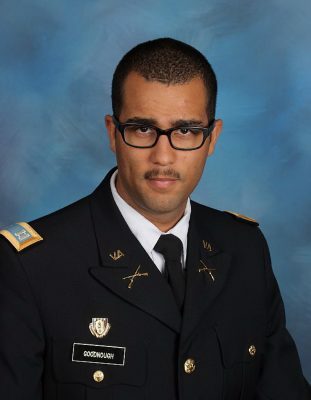 He is a graduate of Fishburne Military School (class of 2009) and later earned a BA in Art from Virginia Intermont College as well as a BA in English from Emory & Henry College. CPT Goodnough is a diehard Mets fan, and as a result, spends the month of October extremely disappointed.